This is a short story about how we arrived here; here being 45 & 46 years old and about to drive an ice cream truck for a living. 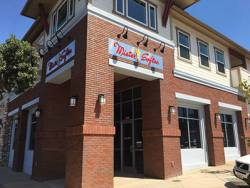 The story speaks of the connection we have to music and surfing, and how they were an important part of how Mister Softee came to be in Ventura County. 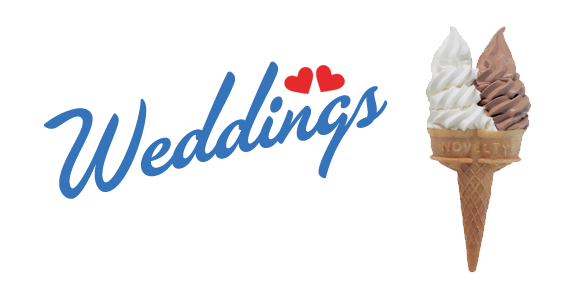 Just so you know, Mister Softee can provide a PA system at your parties and events to plug your device into, or we can create a playlist based on your recommendations and play music for your guests while they are served and waiting for ice cream. There was a wonderful book written back in 1989 called, “Do What You Love and the Money Will Follow” by Marsha Sinetar. I took it to heart, and back then, I was still in college, working part time, but also doing what I loved more than anything else; playing music and seeing live concerts…all the time. My plan was to finish college and figure out how to play music for a living….do what I love, and the money would follow. At some point, you realize playing music is a tough route, fairly low paying, and you have bills to pay. So, I figured I would continue to play and chase the dream, but I would also have to hold down a ‘day job’. I tried a career in real estate appraisal, ran my own successful juice/coffee bar, then helped introduce the Hansens Brand to Seattle. It was during this last job, I made a career change that would take me on a much unexpected 18 year journey into retail…more specifically, Music Instrument Retail. My thought going in was I’d be around instruments, musicians, and have time to play with gear and practice during the day and be ready for gigs at night. Well, a few things happened; I was pretty good at it….so, I kept getting promoted, working in a perpetually short-staffed retail store was unforgiving….so, not a lot of time to practice, and although I kept playing music and recording CDs, I was playing and practicing less and less. In 2000, my company asked me to move, that it was a great career move, and I’d be well taken care of, so I did it. We left friends and family, and a place we loved (The Pacific NW), I quit a really great band that was on an upswing, and we moved to California to commit myself to a career in retail. I didn’t know it at the time, but I would end up putting my bass down for the most part….for the next 13 years…..
As I was earning more money and taking on more responsibility, I justified things in my mind, I was still doing what I loved, right? I was around instruments, and I was helping people make music, and the money was rolling in, it was working. I was a store manager, than a district manager…I bought an Infinity, we moved to Texas, then I was a regional manager, and then in 2009 the big promotion to VP of Training & System Development.…..I was doing what I loved, right? My paycheck sure was nice, I was surrounded by gear, teaching people about retail and gear, helping devise new systems for stores..…but, the strings on my bass were rusty, and I was even wondering why I had as much gear as I did….would I ever play it again? It didn’t seem like it, I was an executive now, lots of dinners, travel, happy hours, retreats, golf, etc. I was pretty far from where I had thought I’d be in 1989…aside from making lots of money…but as they say, you spend what you make and it never seems like enough anyway. It didn’t take long while at the corporate office to really wonder about the path I was on. Frankly, I wasn’t all that enamored with how the corporate office, some executives, and certainly the owners of the company felt about our front line workers, and how they should be treated and compensated. I saw and heard a lot of things. It really made some of the things I thought about corporations as a youngster ring true. Profit was king, people were disposable and the game is get more out of everyone for less. In spite of all that, I continued to succeed, get promoted, and make more money. Luckily, in 2013, my travel was slower, and I met some musicians in my neighborhood. They needed a bass player for their band. It was time to clean up the gear, start practicing and playing again. I quickly remembered how important playing was to me and my mental state. I was playing bass for The Kenny Walters Band, and the passion was reignited. Country songs, tropical rock, standards…..not what I was used to but I was learning a lot and playing with some great musicians. Work was frustrating at best….yes, I got to do some really cool stuff, experienced a few more promotions, had a great job, and learned a ton, but underneath it all I was frustrated, and often wondered what was next. In the fall of 2014, my company was beginning to go through another restructure, and I found myself no longer working there. What next? 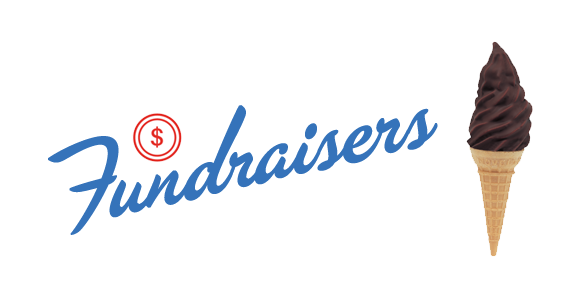 Do what you love and the money will follow became a basis for making decisions and discussing our next steps. Would we move, was I going back into corporate or retail? I wasn’t sure right away, but I was sure that I was going to pursue music more seriously and get my playing chops back, so while seeking work, I was practicing a ton, trying to join/form an additional band, more akin to the music I loved. Once again, music is great, but it wasn’t going to pay the bills, we needed income. Corporate life, working retail, or moving to a place like Ohio for some job were not on the list of doing what I love. People kept telling me how valuable I was going to be to another company. I didn’t disagree…I had an amazing background in Store management, Multi-unit management, sales, operations, training, ecommerce systems, marketing, branding, and more. Well, I would rather give that value to my family and my own company, so we dug deep to figure out what to do. 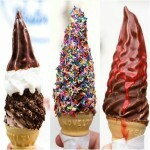 The Mister Softee idea came up quickly. 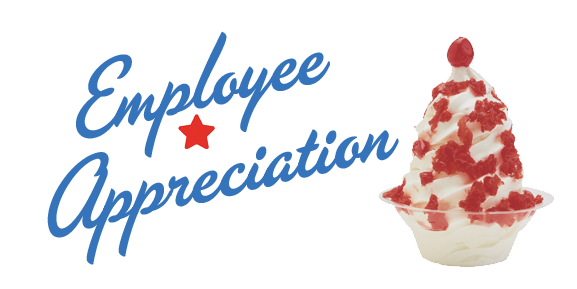 I did the job before, I had just been to NYC and commented to a friend how much SoCal needed Mister Softee and it would do great, I saw a lot of examples of successful franchisees, and it was a business that I could really utilize all of my professional experience to build and grow. My wife and I miss ice cream trucks like we had growing up with back east, and we LOVE ice cream! We are the kind of family that always has ice cream in the freezer with sundae toppings and cones around….it’s a nightly ritual. 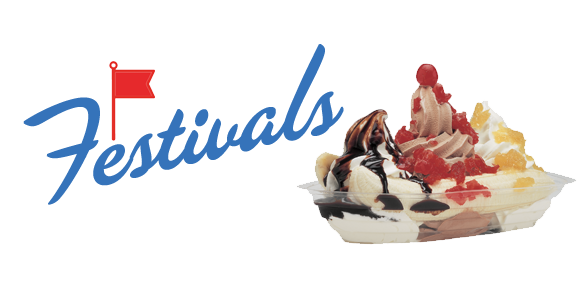 We love the frozen yogurt shops, Coldstone Creamery, Baskin-Robins, Ben and Jerry’s, Foster’s Freeze, CVT Soft Serve..….you name it we love it, and we eat at them all. Ice Cream and Jam Bands…..two things I love…for my wife Bobbi, it was Ice Cream and Surfing. Could we stay in Ventura County, do what we love and maintain a nice lifestyle? Yes, we can and we will! My pursuit of music has been wonderful. I have been able to meet so many players in the local music scene, and between Jan-Aug of 2015, played more gigs than I did the previous 13 years. During the course of early 2015 I joined a very well-known Ventura County band, Shaky Feelin’ and also started a cover band, called The Deal. I am still playing with The Kenny Walters Band as well. 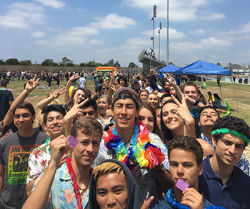 These are bands you will see at Fairs, events, and clubs all over Ventura County and beyond. 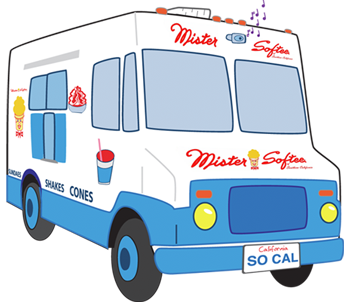 You may even see The Mister Softee truck at some of their shows! Bobbi continues to surf her favorite breaks several times a week, and looks forward to the truck serving some of these beaches and breaks, as well as getting involved with surfing events in the area. Who knows, maybe someday we’ll get big enough to sponsor some local surfing talent…we’d love to be able to do that! At this moment, we are about one week from taking physical delivery of the truck. We have had amazing response, we love the business we are building and feel so lucky to pursue the things we love; music, surfing, ice cream, and being part of the Ventura County community and lifestyle. The money will follow, we can see it, we have a solid plan and now it’s time to make it happen! Lastly, we have a lot of friends with common love and interests, especially music. Here is an awesome video made by our friend HEADSNACK from New York produced for us! 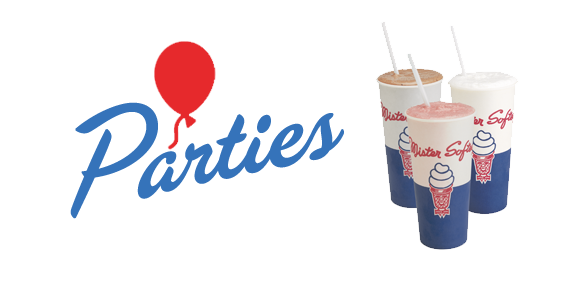 We have soft service ice cream sundaes, soda floats, cones, cups, banana boats, and shakes. 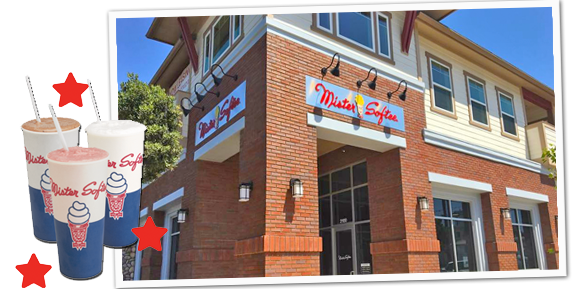 Visit us in Old Town Camarillo. Mister Softee trucks are available for company picnics, fairs, school fundraisers, weddings and birthday parties. 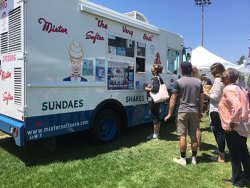 "One thing you will notice when Mister Softee hits the streets of Ventura County this summer is our dedication to… View Article"